We have a ton of fun on the water in this club! 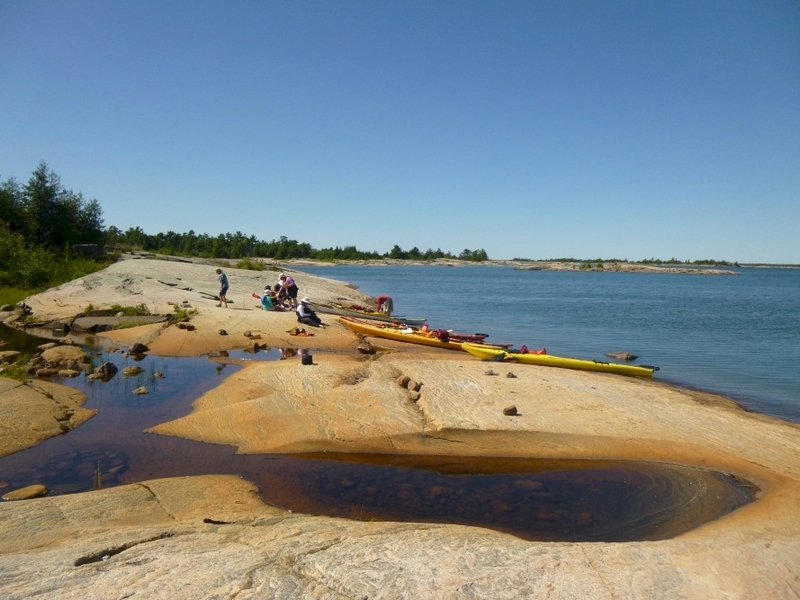 One of the popular summer activities of the Halton Outdoor Club is paddling, primarily sea kayaking. There is nothing more invigorating that skimming along the surface of the water on a hot day. Every outing has a volunteer club leader and a detailed paddling schedule is provided for the season. The schedule gives the email addresses of the leaders so you can register ahead of time for the trip or ask for more information. You do not need to have your own boat and safety gear - many of our trips have rentals available right on site or brought to the site for you. Apart from a fee for rentals which is determined by the outfitter, there is no charge to participate in our day trips. The club also hosts a regular Friday night “Social Paddle” during the season, where the group will meet at a specified location in the Burlington/Oakville area and go for roughly a 2 hour paddle and then all go out for a pub dinner. What better way to get to know your fellow paddlers? All kayaks are required by law to carry a boating safety kit. For safety reasons, all paddlers must wear an approved PFD (personal flotation device) at all times on the water and be capable of swimming at least 50 meters with a PFD. For most of our day paddles, all paddlers should also have completed a lesson which included a wet exit and rescue. Paddlers with their own kayak must have a kayak suitable for the type of water being paddled for each outing. The Halton Outdoor Club welcomes all levels of paddlers but especially beginners – our goal is to make it easy for a new paddler to get started. We offer lessons for all levels both in a pool in late winter and at Guelph Lake in June, with all equipment included. We then follow up with easy day trips where rentals are available. Whatever your level of experience, we’re happy to have you join us! We also offer a variety of multi day trips including a couple of “entry level” weekend trips for those who would like to try kayak-camping. Club members are always happy to share advice or recommendations on buying equipment.